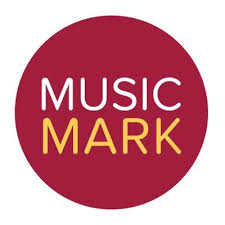 Great news!...we have been officially awarded Music Mark status at Temple Grove Academy. This award acknowledges high quality music teaching and provision in schools. We were able to provide evidence of developing a high standard of music provision, recognition of the value of music education as part of a broad and balanced curriculum and a strategy for music in place which provides for all children. Music Mark works to lead high-quality music education by influencing, supporting and connecting teachers of music within schools. What benefit will membership have for the school? Recognition that music is valued within the school. This recognition from your national subject association for music can contribute to the Ofsted requirement of a broad and balanced curriculum. Access to exclusive resources created by Music Mark for schools. This will include both practical resources and highlights from the latest research. Music offers both social and emotional development and promotes listening and attention skills. Music is also a language and so provides children with an alternative way to communicate. It gives children a chance to be imaginative and creative. We aim to give all children a comprehensive introduction to Music at TGA. Children progress through musical learning starting in Reception with basic beats and tempos. They move on to exploring sounds, pitch and dynamics. They learn to use a range of tuned and percussion instruments and are encouraged to perform. The children are exposed to more advanced musical terms (such as ‘ostinato’ meaning a repeated pattern). In Year 3, the children learn composition, notation and musical structure. Upper KS2 develop their listening skills further to enable them to compose complex, multi-layered rhythms and songs, using both actions, voice and instruments. They also study music history and famous musicians from different genres and compare and contrast pieces. All children are given an opportunity to find their voice. A singing assembly is held weekly and the choir is open to all KS2 children. Singing encourages children to become confident performing in front of others. Which instrument will you learn? Beatbox workshop with the Boys Choir. Every week KS2 children have the opportunity to sing in the TGA Choir. We perform annually at Willicombe House and at various local venues throughout the year. We also take part in the end of term concerts, for all parents to enjoy. We now have a Boys Choir, to encourage male voices and participation. Professional musicians, such as BeatFox (beat box technique specialist) are invited into school to share their knowledge and skills. TGA Choir at the Young Voices Concert 2018 @ O2 Arena, London. What another fantastic day at the O2 Arena, London... For the second year running the TGA choir returned to sing with a huge, combined choir of 7,500 children, for the Young Voices Concert 2018. The children had great fun singing a range of songs, from pop to classical, from folk to rap. The children showed great energy and commitment to the practice sessions and thoroughly enjoyed the performance. We will be returning again! TGA at the Young Voices Concert 2017 @ O2 Arena, London. We arrived at the O2 and had a 3 hour rehearsal with the rock band, drummers, Beat box Collective, Urban Strides (street dancers) and all the other choirs, making up a huge choir of 7,400 children altogether. The conductor and musical director were so energetic and got the kids learning even more actions and singing with great gusto. Then we had a break to eat out tea and re-charge our batteries ready for the main event. At 6pm parents and visitors started to fill the arena and it got very exciting, with lots of manic waving going on! The TGA parents that had come to watch were brilliant fun, enthusiastic and so supportive. The concert was fabulous. All the children sang their hearts out and enjoyed the whole experience. I was so proud of all the children and I can’t wait to do it all again next year.